Hiya! The weather here is gorgeous and I'm thinking spring. I've been itching to play around with my new Awash with Flowers set for some time, but haven't had much time to just sit and stamp for fun. I decided to make a really quick and simple set of cards as a hostess gift for a recent workshop and I came up with these cards. 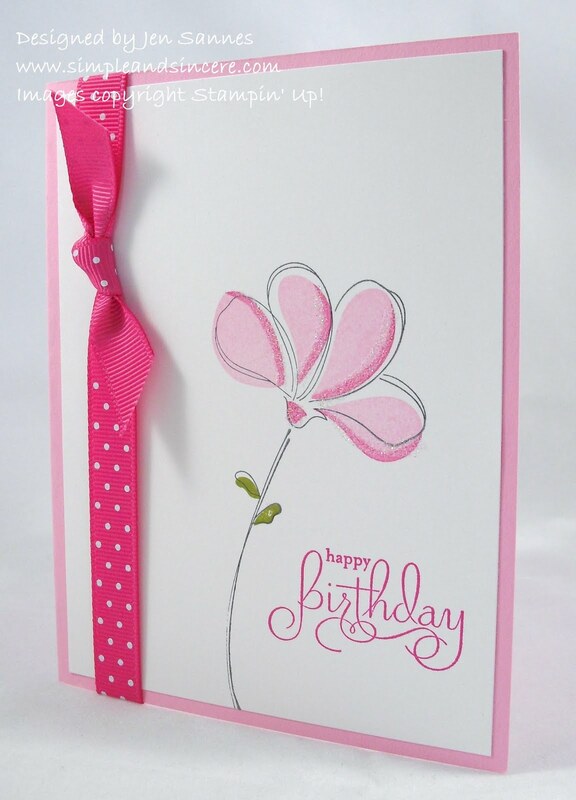 As you can see, it's basically the same card, with different ribbon and fold placement. 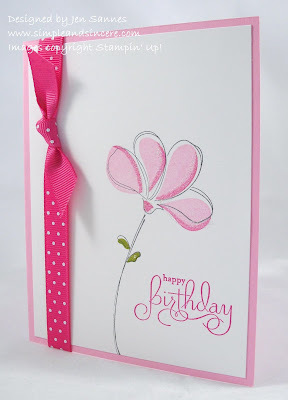 Such a pretty lil' card, and so easy to whip up... I may have to make a batch to have on hand, leaving the sentiment blank until mailing so I can use it for just about anything. They are so beautiful and elegant. 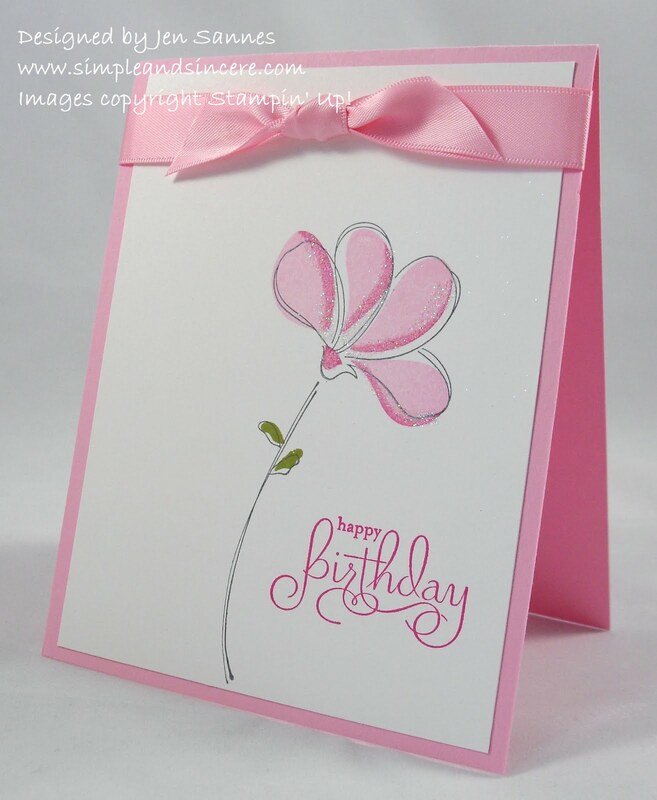 I wish I could make such lovely cards, as you. Love the CAS look of these! You do CAS so elegantly! These are just beautiful, Jen! So clean, so simple, so pretty! Thanks for sharing!